Portage, Indiana is a wonderful place to live or even just go for a visit. With the gorgeous lakes and the breathtaking sand dunes, you don’t want to allow a toothache or tooth pain to take away a single second of your good time. Finding an emergency dentist when you need one has never been easier. At emergencydentistsusa.com, we have made the process of finding a dentist very quick and simple. You can view dentists in and around Portage, IN with just the click of a few keys on your keyboard. You’ll be able to see the types of services that each dentist offers, the hours that they are available, and even the insurances and payment methods that they accept. If you don’t have access to the Internet, we’ll still be able to quickly assist you. Call our 24-hour toll free dentist finder hotline and speak with a friendly associate that will be glad to assist you with your search for a dentist. Once you have decided on the dentist that you would like to go to, the associate can even set up your first appointment and provide you with directions to their office. Whenever you’re going to a new dentist for the first time, it’s best to arrive a bit early. All doctors and dentists require a new patient paperwork packet to be completed at the time of the first visit and this generally takes at least 10 minutes. Make sure you also have a valid ID, a copy of your insurance card, and any copay that may be due at the time of service. Since Portage is a beautiful, current town, you’ll have no problem finding a dentist in the area that can meet your needs. We can help you find a dentist that can see you quickly if an emergency arises. Most emergency dentists will be general dentists that can assess your situation quickly and refer you to a more specialized dentist if it is needed. Description: Merit Dental offers patients reparative, cosmetic, and preventative dentistry in a friendly environment that they will enjoy. Each dentist takes their time to get to know the patient and work with them to create a treatment plan that aligns with their needs. Even if you happen to experience a dental emergency, Merit Dental is on call to take care of you. Description: When you choose Lowell Family Dentistry as your dentist, you are getting the best there is to offer. They are able to offer you a number of dental treatments all under one roof. From oral surgeries to basic general dentistry, they will be able to provide you with treatment without referring you to another office. Description: Relaxed Dentistry is proud to offer Portage and surrounding areas a variety of dental treatments in one facility. General and cosmetic dentistry plus orthodontics makes Relaxed Dentistry an excellent choice for your new dentist. The warm friendly staff treats each patient like family and works one-on-one to provide top notch care. If you’re in pain, don’t ever let it persist longer than a couple of hours. Pain is our body’s way of letting us know that something is incredibly wrong. If you’ve experienced any trauma to your mouth area such as a sports accident, then first proceed to a regular doctor. You’ll need to rule out that you have any broken bones. If you’re experiencing pain and haven’t had any trauma, then you may be dealing with an infection. Infections won’t clear up on their own without the proper medication, and if you allow them to stay and persist, they will spread and cause issues with your other teeth and gums. When you’re visiting a dentist for the first time, it’s always a good idea to make sure that they are properly licensed and have all the needed credentials to perform dental work. 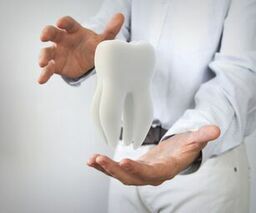 Most patients will simply check this when they go into the office since most dentists will have those items framed and adorning the walls of the office. However, if you’d like to check this information prior to your first appointment, simply enter your dentist’s name on the Indiana Dental Association website.